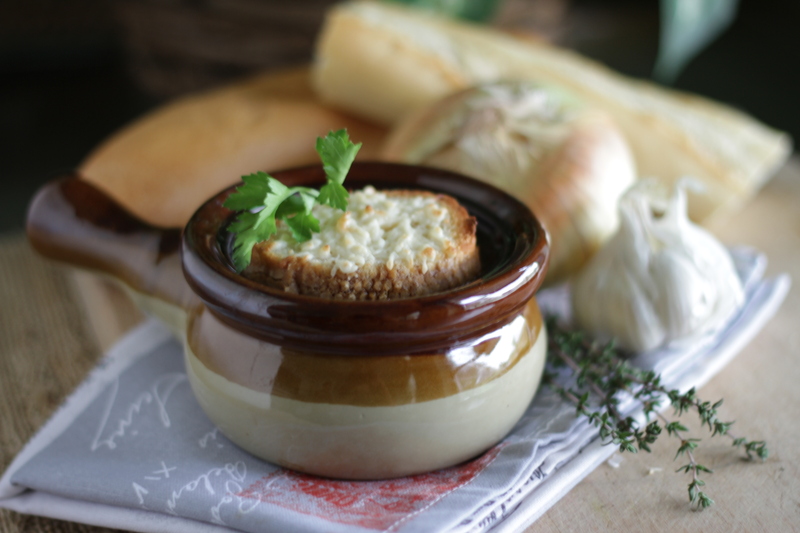 They said it couldn’t be done…but here it is, a veganized version of the classic French onion soup! This recipe comes from Allison Rivers Samson, owner and operator of Allison’s Gourmet Online Vegan Bakery and Confectionary. She is famous for her ultra-decadent gourmet vegan chocolates and other sweets, but it doesn’t end there. Allison is also the author of the “Veganize It” column for VegNews magazine. Her recipes feature veganized versions of many comfort food favorites, like macaroni and cheese, lasagna, burgers–even Caesar salad! 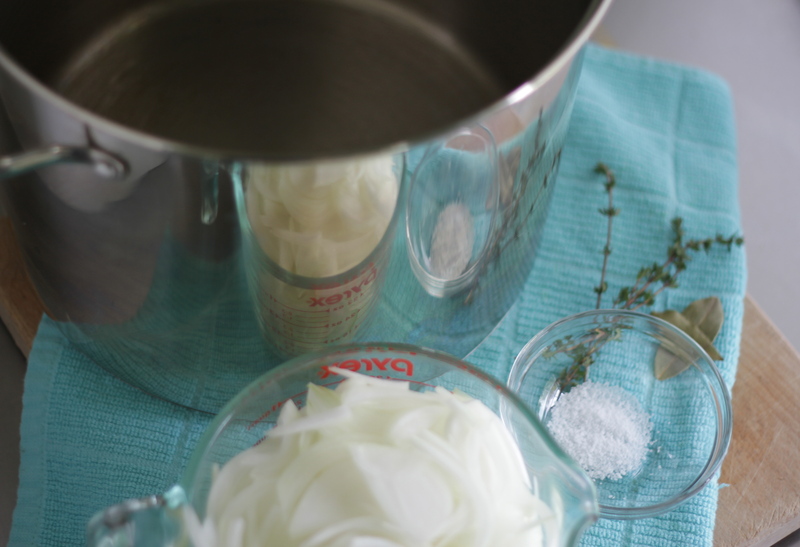 These recipes and so much more can be found here on her blog. I am a big fan of Allison’s work, both sweet and savory! 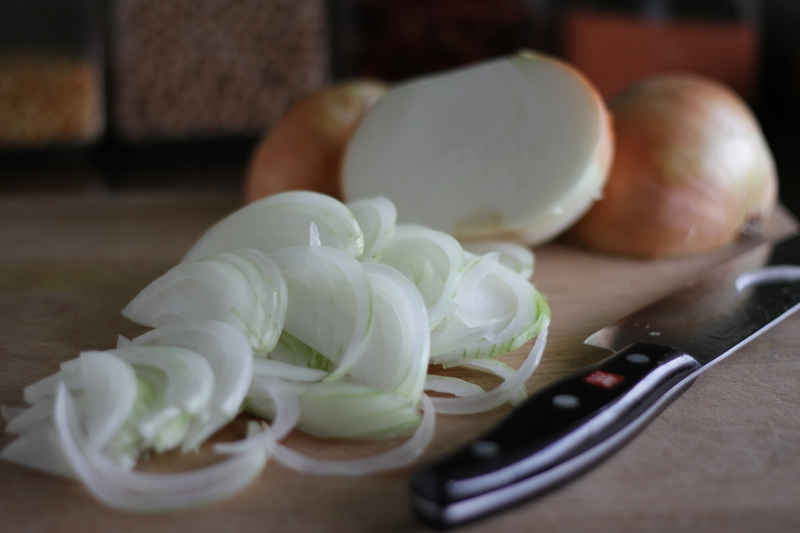 Slice onions very thinly and sweat them in a large stock pot with a bit of salt. 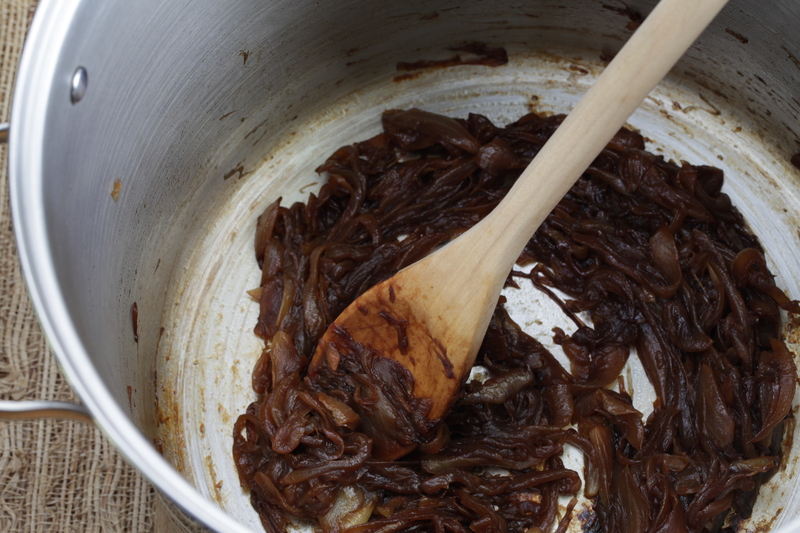 The most critical step in this recipe is the caramelization of the onions. 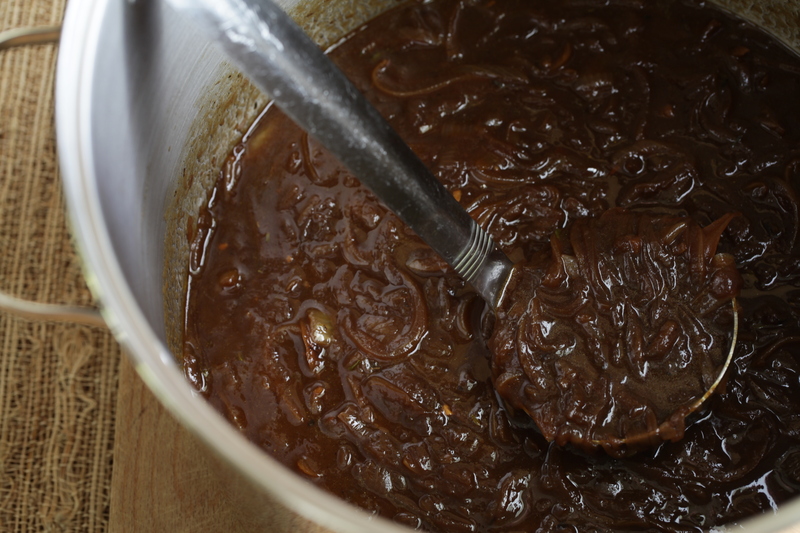 It is important to allow the onions to really cook down nice and brown. This is going to provide a very rich flavor to the soup. Once the onions are done, the pan gets deglazed with a bit of white wine then vegetable stock and seasonings are added and the soup simmers for a few minutes. Top with a toasted vegan cheese French bread slice and serve immediately! 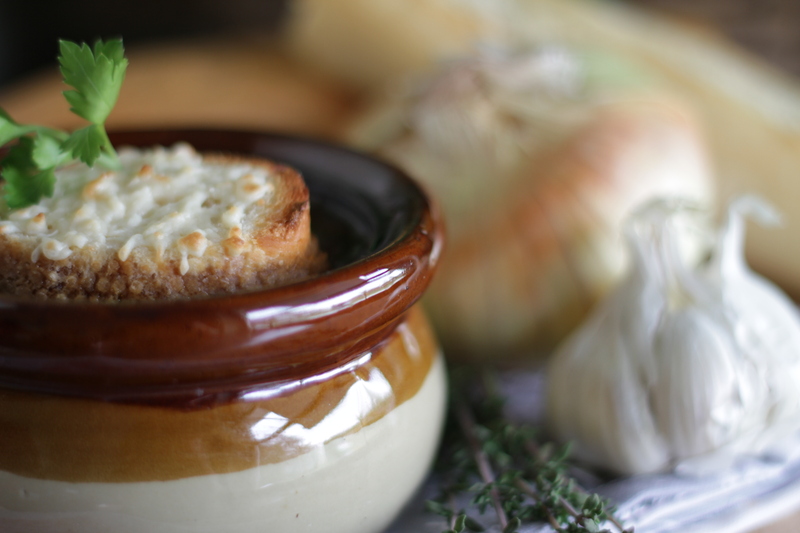 Mmmmm…French onion soup was my favourite restaurant meal when I was a child. I can’t wait to try this! That soup looks so delicious. I just want a bowlful of it right now. Looks wonderful! Can’t wait to try this out on a cold day! oh wow, I am so trying this!! I have to try this. Thanks for the recipe Melanie!